The philosophy behind small business marketing used to be relatively simple. Digital marketing strategies made sense to raise brand awareness, but to get people in your neighborhood to visit your store, more traditional methods were most reliable. A print ad in a community magazine, sponsoring a local event, or even a small radio ad on an AM station all served to get the people around you to pay attention to your products. But increasingly, digital marketing seeks to compete with these traditional methods, creating local advertising possibilities that you should not ignore. As we move into 2016 and beyond, these digital marketing opportunities are becoming increasingly easy to access, meaning you should give them serious thought as a part of your budget in the new year. Let’s discuss digital local marketing opportunities relevant to small businesses today. When Google first introduced its Pigeon algorithm update in 2014, it changed the game for local search optimization. Without boring you with the details, the update prioritized local results over national results as appropriate for search queries related to your business. Today, search is ubiquitous among your audience. Especially thanks to the rise in mobile, a potential customer who is looking for a way to get your product or find out about your opening hours simply pulls up Google and types their query into the search bar. Do you know what shows up when they do? As it turns out, the search engine actually lets you control the result to some degree, by allowing you to set up and optimize a My Business Profile. If you have not done so yet, you should make it a priority before 2016 or, at the very least, a New Year’s Resolution. Potential customers will search for your small business, so you want to be sure you can be found easily. But your opportunities to go local go beyond mere search optimization. Thanks to the in-depth targeting options of many digital channels, particularly on social media, you can now target very specific areas, neighborhoods, and even individual blocks with distinct advertising. Facebook, for example, allows you to set targeting parameters for its ads to a specific zip code. Google, on the other hand, lets you engage in geo-targeting, even allowing marketers to target based on specific IP and household addresses. This hyper local targeting means you can be sure to reach your audience, no matter how geographically restricted it may be. Of course, local digital marketing will be worth little if it doesn’t result in customers frequenting your store. So as we move into 2016, you should be sure that your local ads match up with your walk-in experience, delivering what your promotions promised and following up after the purchase. Here, email marketing can come into play. If you use your digital ads as an opportunity to gather leads, or if you request email addresses from customers for post-sale nurturing opportunities, emails can be crucial tools to connect your initial ads and your customer experience. By allowing you to reach out to your target audience in a personalized way, it establishes your business and brand as an important part of your customers’ mindset and consideration point for future purchases. Think about it from your audience’s perspective: you come across an ad for a local business selling jewelry on Facebook. Intrigued because you are looking for a birthday present, you Google the store, and find the company’s My Business profile. Then, you walk in, buy a piece of jewelry, and become a part of the store’s email list. Now, the store can keep you up to date about sales, store developments, new inventory, and more in the future. The initial local ad experience has led to a mutually beneficial relationship for both side. 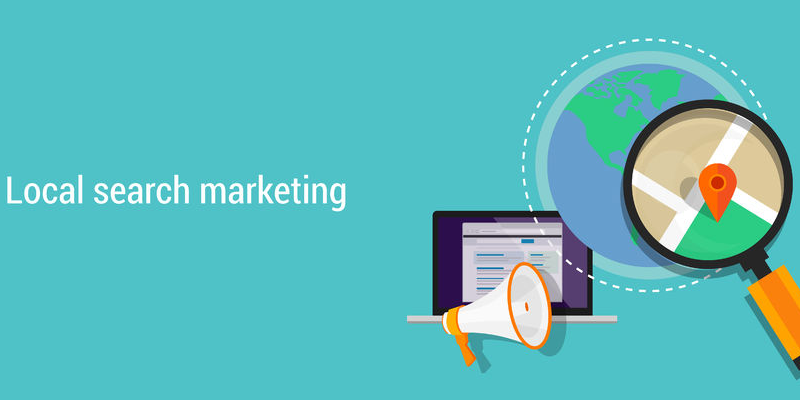 How can email marketing become a part of your local marketing efforts? Contact us to learn more.